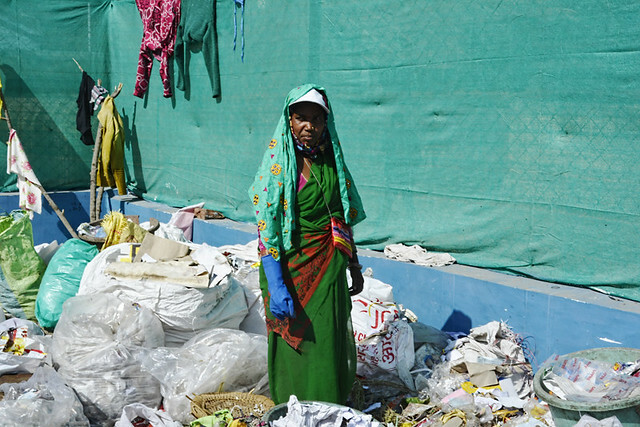 A worker carries household waste to the SLRM centres at Ambikapur. Ambikapur is a small city in Sarjuga district in Chhattisgarh with a population of 1.45 lakhs. 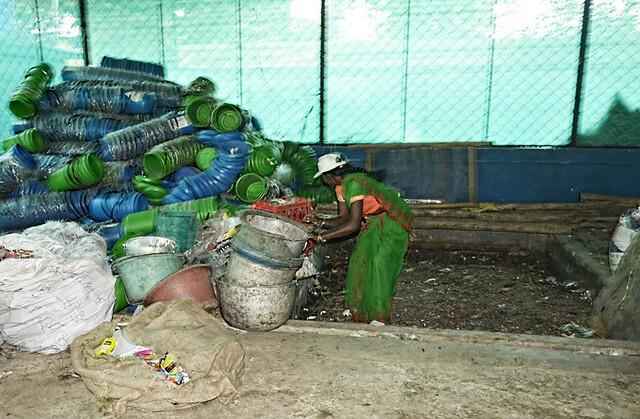 The city generates 45 metric tonnes of solid waste per day. The city waste used to get dumped on the 16 acres of dumping yard 3.5 km away from the city. But after the implementation of SLRM in 2015, the dumping yard has been converted into a sanitation park. 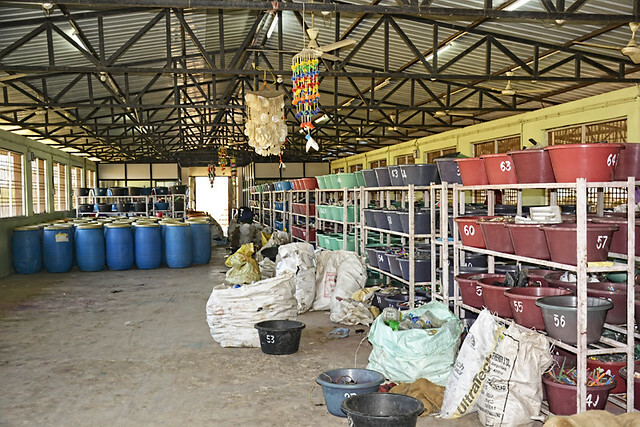 In 2015, the founder of SLRM project C. Srinivasan of India Green Service, Vellore was contacted by Ambikapur district administration after he presented his ideas on sanitation and full-proof garbage management in Satyamev Jayate, paving way for the project to be implemented under the guidance of the district collector. There has been no looking back since then. 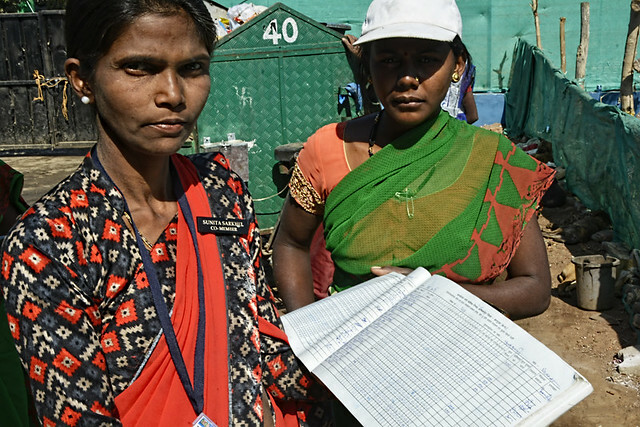 Every day, 447 SHG women of 48 wards collect household waste door-to-door. “There are no dumping yards in the city, no community dustbins either. The garbage segregation begins from home through the red and green boxes given to each house. The red box is for inorganic waste like paper, cardboard, plastic, electric wires, etc and the green box is for organic waste like vegetables, garden leaves, food, etc. Sanitary pads and diapers are expected to be covered in paper and kept in a red box which would be buried for permanent disposal,” says Radhika Kriplani, a resident of Kedarpur area in Ambikapur. Several training programmes have been organised for the SHG women hailing from the economically weaker section for the SLRM project. Result? 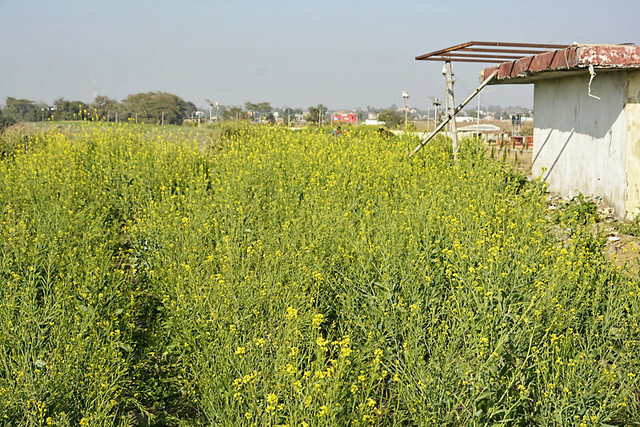 The landscape of Ambikapur has changed drastically in the last three years after the implementation of the project due to combined efforts from the government and the residents. People do not throw waste on roads now. Instead, they use their household dustbins. 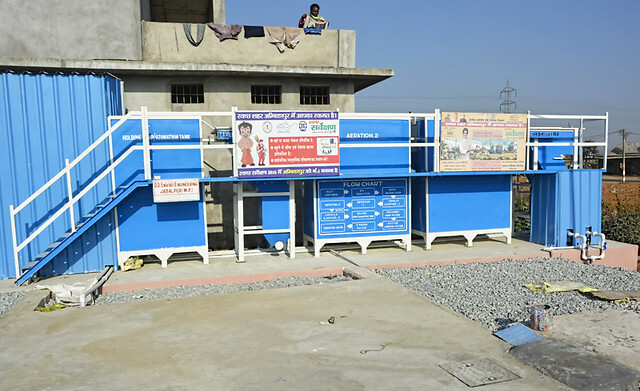 For managing operations and maintenance of the project, a user charge of Rs 50 is collected from houses, Rs 100 from shops, Rs 500 from hotels and Rs 1000 from hostels and ashrams. The total income from the user charges ranges from Rs 12-15 lakh per month. According to the November 2017 SLRM report, the municipal corporation has collected Rs 150.38 lakh as user charges, Rs 3 lakh from the sale of city compost and Rs 67.03 lakh from the sale of recyclable items between May 2015 and November 2017. In 2012, the annual expenditure of AMC for solid waste management was Rs 1.23 crores, and in 2017, after the implementation of SLRM project, it has reduced to Rs 37 lakhs. To encourage SLRM, the corporators of the wards contributed Rs 1 lakh each. 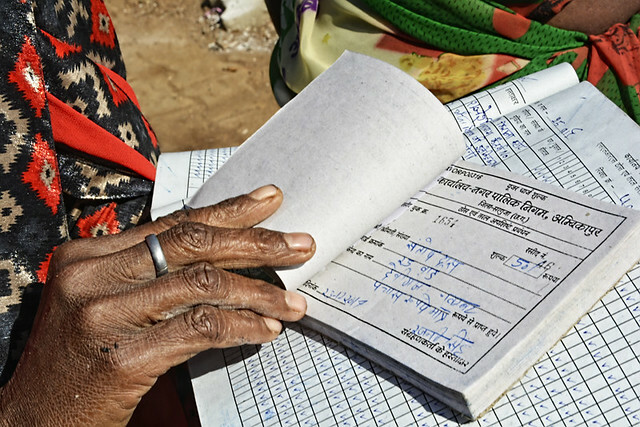 “Women of these self-help groups (SHGs) belong to the marginalised sections of the society and the SLRM model has generated hundreds of green jobs without putting a financial burden on the state treasury. The SHGs are federated into a registered society called Swachh Ambikapur Mission Sahakari Samiti Maryadit. The AMC has an agreement with this registered society. Each worker earns around Rs 5,000 per month and is provided with a uniform and gear, including cap, mask, shoes and gloves,” says Shiv Soni, district programme manager, SLRM, Ambikapur.